Late – very late – blogging about this, but better late than never, I guess. About this time last year, my wife came home from school talking about a school trip to Greece in March (last March). We’ve often talked about places we wanted to go, and honestly Greece was never on the list – not because we weren’t interested in Greece, but because it just never bubbled up near the top of our lists. But this seemed like a great chance to take out first overseas trip – a planned, interesting agenda with people we knew. So we signed up, and that’s how we came to be traveling to Greece, with a one-day stopover in London, and ending with a three-night Greek Islands cruise. We left on Sunday, March 9 – because the group was so large, we had to fly to Atlanta in 2 groups. We got the earlier flight, and had a 5-hour layover in Atlanta. But the time passed faster than I would have expected, and soon enough we were on the plane for London. I checked the flight path – right out over the Atlantic, no Greenland-Iceland skimming stuff for us. 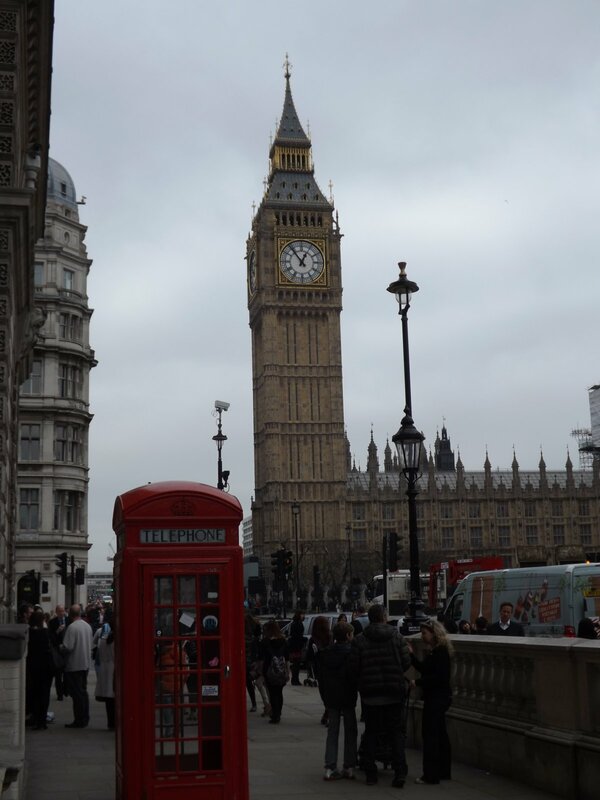 Arrived in London at 7AM, took our bags to the hotel, and then we were whisked off on a walking tour of London. 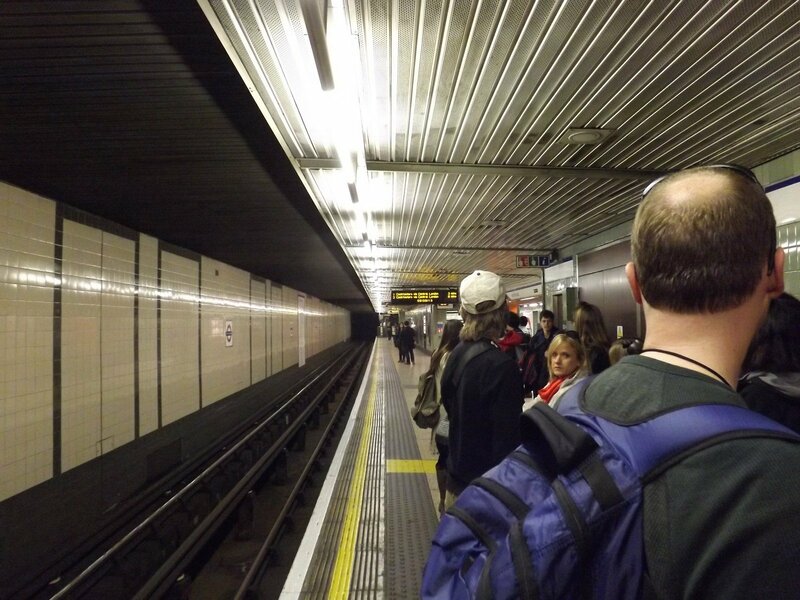 The hotel was near Heathrow, so we rode the Tube to Piccadilly Circus, then started walking with our London guide. 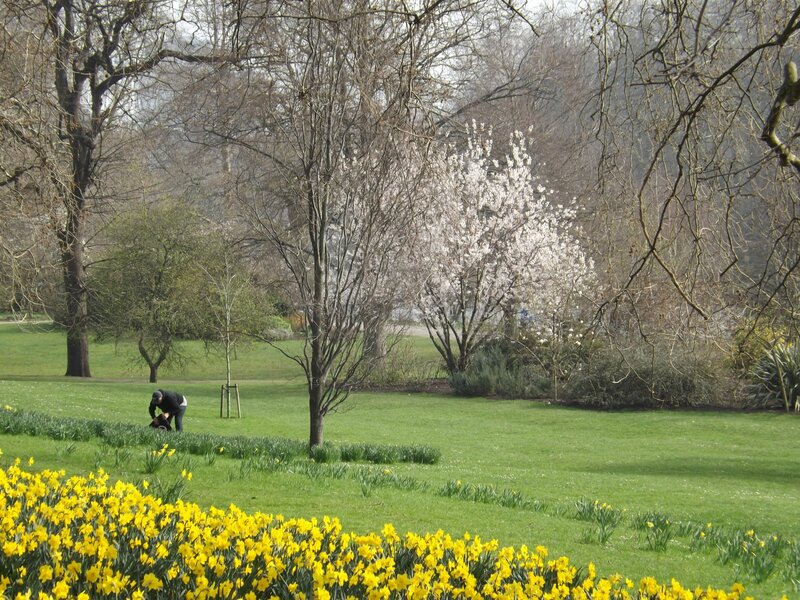 The day was cool to cold, windy, gray – I guess typical of London in mid-March. 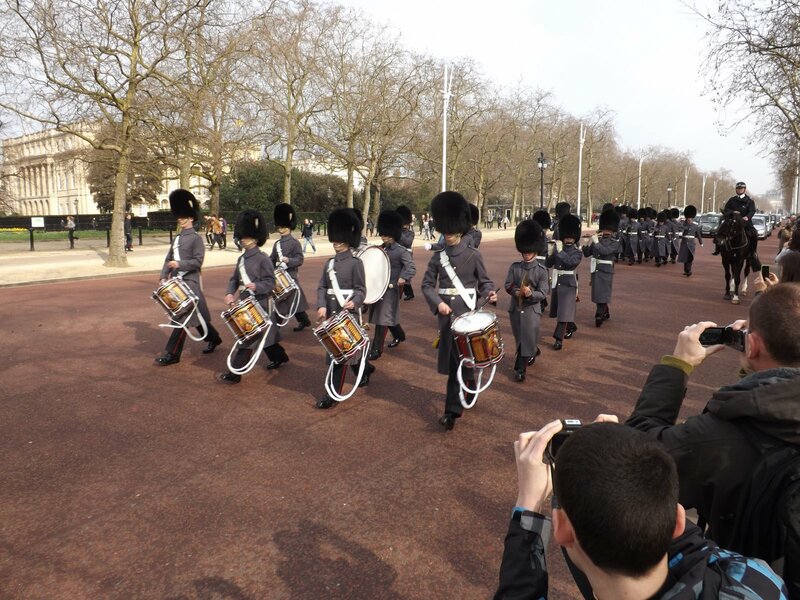 Our walking tour went from Piccadilly to Trafalgar Square, then to the Admiralty Building, then up to Buckingham Palace to see the changing of the guard, then across St. James Park to Big Ben and Parliament, then back to Trafalgar Square for our first real stop, the National Gallery. They gave us about 45 minutes. Then to a shopping area called Covent Garden; then on to the British Museum. We had an hour there. Then on to a pub for fish and chips, then finally back to the hotel – it was about 8:30 by this time. 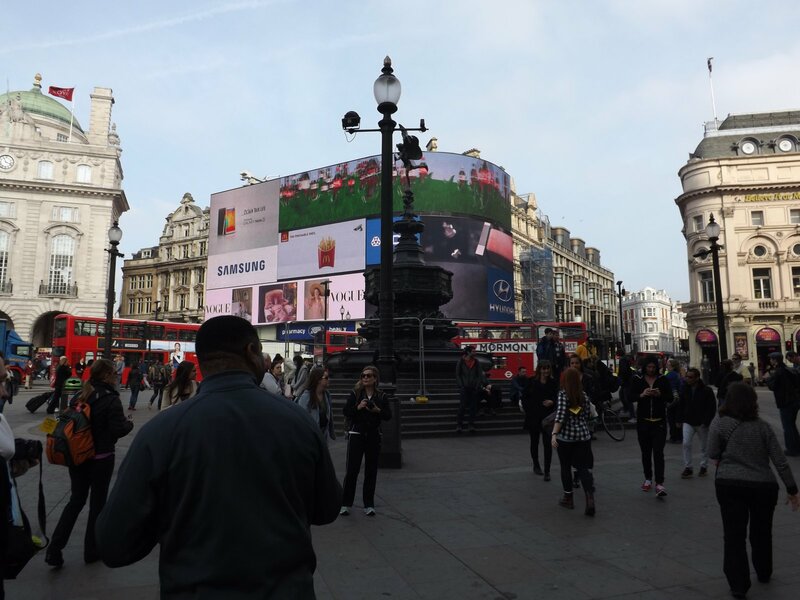 We took the Tube to our first stop, at Piccadilly Circus. It wasn’t actually that cold at this point, so I foolishly left my jacket at the hotel, a move I would seriously regret later in the day. Honestly, I thought St. James Park was more interesting, the early spring daffodils and blooming trees were really nice on an overcast day. 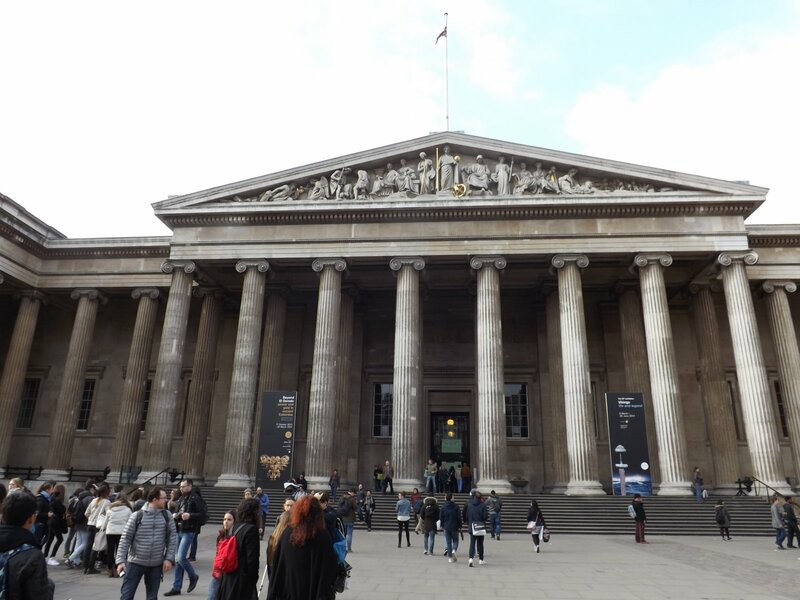 After a short stop at the National Gallery and Covent Garden, we finally made it to the British Museum, the thing I most wanted to see in London. As I mentioned earlier, I only had about an hour, but at least I’ve been inside. I will go back, hopefully soon, and make sure I have plenty of time. Notice the lack of details here? That’s because there weren’t any. This was an add-on day designed to give people a taste of London, and it was just too rushed. I mapped our route when we got home – we walked about 6 miles that day. But, I can at least say I’ve been in London now. Up early the next day for the flight to Athens, where the trip got much better.